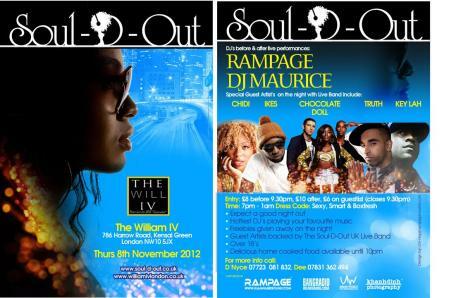 Quick reminder that Chidi is performing at the next Soul-D-Out UK show, this Thursday November 8th! November 8th will see live performances from CHIDI, IKES, CHOCOLATE DOLL ft NAANA, TRUTH & KEY-LAH. [PLUS a NEW VENUE] This night will be a fantastic and amazing night of GOOD QUALITY LIVE music, it’s the way MUSIC should be heard. All from the very best in upcoming and established UK talent.